I am as skeptical as anyone about monsters. I don't believe in Bigfoot. I don't believe in aliens. I don't believe in a lot of creatures that they say are out there. But for some strange reason, I believe - and I want to believe - in the Loch Ness Monster! A number of years ago I spoke with Alastair Boyd about the L. McP. Fordyce sighting. I had first read about this sighting myself in the 1990s and I was suspicious of the story. It just did not appear to ring true. Alastair told me that he had looked into it and established that the story was a a hoax played by a prankster. If you look up who L. McP. Fordyce really was, you would see that he was a serious officer in the British army not given to fanciful tales like this. 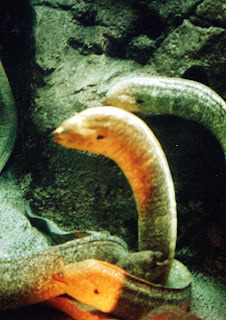 Before Richard Freeman the main impetus for the eel theory was the discovery of a giant eel larvae six feet long. It turned out they did not grow longer as adults. I think that surgeon's, especially in those days, were likely to have tremendous confidence that only yokels believed in water monsters. So it was probably a hoax. And the case for it having been a toy submarine is not necessarily weakened by the anachronistic claim of the use of plastic wood. That could just have been an honest confusion of memory. Otherwise the debunking was done in a very logical and assiduous way. There is of course the possibility Carl we're not only dealing with a dimorphic species but one that undergoes tadpole like stages in its young on a much larger scale than any extinct larva we currently know of. I have serious problems with all the main contenders. As for a plesiosaur, quite apart from the debate as to whether they were capable of raising their necks in such a manner, they were cold-blooded reptiles, and Loch Ness is a cold lake. 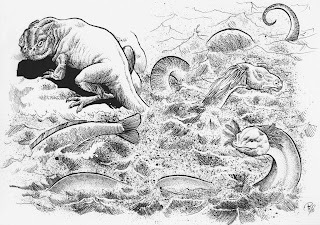 Yes, we know that many dinosaurs were warm-blooded, but the plesiosaurs cavorted in warm tropical seas where warm-bloodedness would be unnecessary, and even a disadvantage. Latest evidence suggests that the temperature of the Caribbean in the Cretaceous was 37 degrees C - blood heat. A reptile would reach its required temperature just by being there, but a human being in such water would soon suffer heat stress. 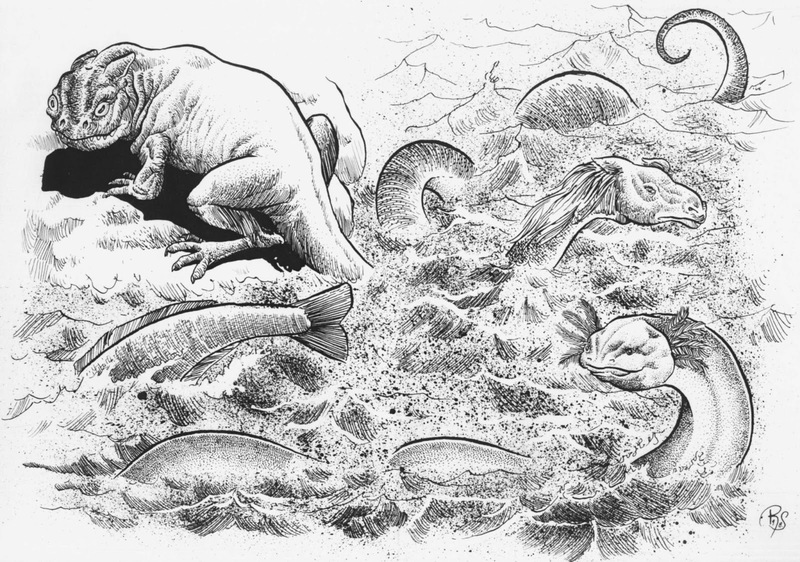 However, there is one major factor which is fatal to the plesiosaur, seal, otter, and archaeocete theories: they all have to breathe. Think of how often whales are seen during the "whale watching" seasons for that very reason, and compare it to the infrequency of Nessie sightings. Tim Dinsdale calculated that he spent 1000 hours of observation between his first and second sighting. 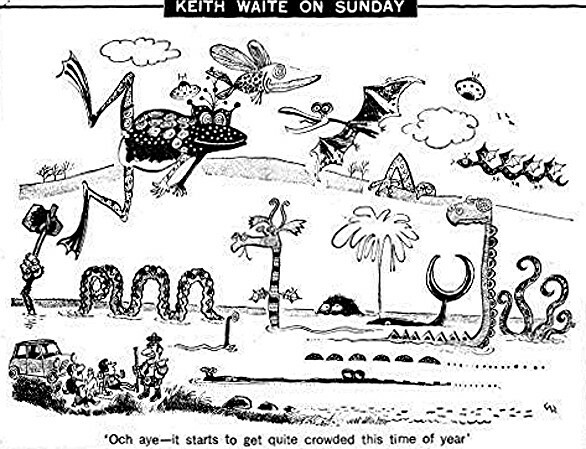 Roy Mackal made the comment that the sonar readings suggested a creature which moved up and down in the middle depths, but seldom came to the surface. If there is a Loch Ness monster, it is neither reptile nor mammal. (On the other hand, when we move out to the open ocean, there are many indisputable evidence of "sea serpents" undulating vertically - a diagnostic feature of mammals. When I was eleven I went out on the loch in a dingy with my dad. After a while there was a undulating pushing beneath the dingy. Okay, it was probably just a wash from the nearby shore, but I was eleven, so it was the monster. I love the loch. It's a magical place. But I haven't been seriously convinced by the monster since I was a kid. I've always been of the opinion that Nessie was a sturgeon - why create stories of monster eels, giant salamanders etc, when a more down to earth suggestion would do? 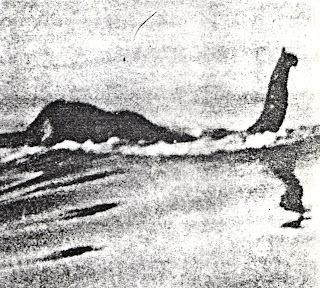 Nessie sightings are probably the result of people observing different animals/weather phenomena and imagination taking care of the rest. The sturgeon is the animal most likely responsible for the majority of animal-based sightings of Nessie. The answer to your question is that most people will say, "Well, what about the elevated head and neck? How do you explain that?" Of course, you can't have a perfect explanation for every sighting without going back and observing the original event yourself. There are simply too many unknown factors. An interesting compendium of resources for review and contemplation! 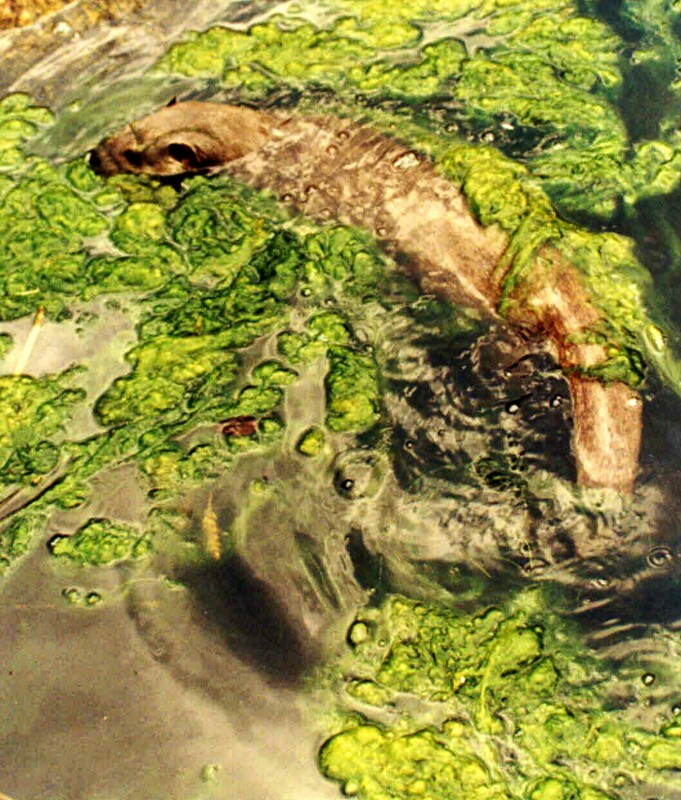 Has it been previously considered that the 1972 Dr. Robert H. Rines expedition underwater flipper photo in searching Loch Ness possibly be the fin of a giant form of squid rather than a plesiosaur flipper? I have not seen any confirmation documentation discrediting this image, although it may exist. Lolliguncula brevis or the Atlantic brief squid is a small fresh water squid known to live in the shallows of the Eastern Seaboard of the Western Atlantic Ocean. Is it possible that a larger yet to be discovered fresh or brackish water species squid, of the Loliginidae Family, lives near or has once lived near the Loch Ness River Inlets? I'm really intrigued by the salamander theory. Would love to see more discussion of that, and of Jeremy Wade's theory that Nessie may be a Greenland shark. If there is only one Loch Ness Monster, what about St. Columbo's sighting? One animal can't live several thousand years, right? But personally, I have difficulty believing in the Loch Ness Monster. I hope there's something there, and I believe something inspired these sightings, but I think that the Loch Ness Monster as we know it is little more than a fantasy. That said, has anybod here seen The Water Horse? Why thanks Karl! It's nothing to dig too deeply for, but if you run across it again while looking for something else it would be nice to know. (It's not in Witchell, Holiday, Mackal, or Dinsdale's books, so no need to dig there -- the "goat" version of the account must come from a less-than-usual suspect). And if I run across it, I'll return and post a reply here. 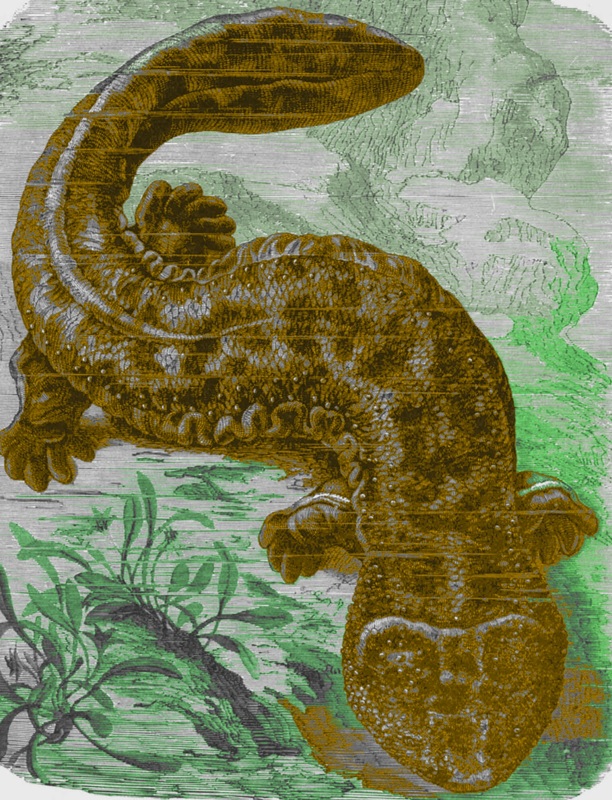 The frog-like description was always intriguing -- if that was based solely on the appearance of the head, it could just as well have been a salamander. Would that we could go back a hundred years and re-interview witnesses with questions like, "Did you see a tail?" 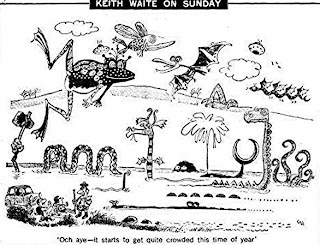 Hi Steve, I've finally found the reference describing as goat-sized the frog-like creature seen by Duncan MacDonald. 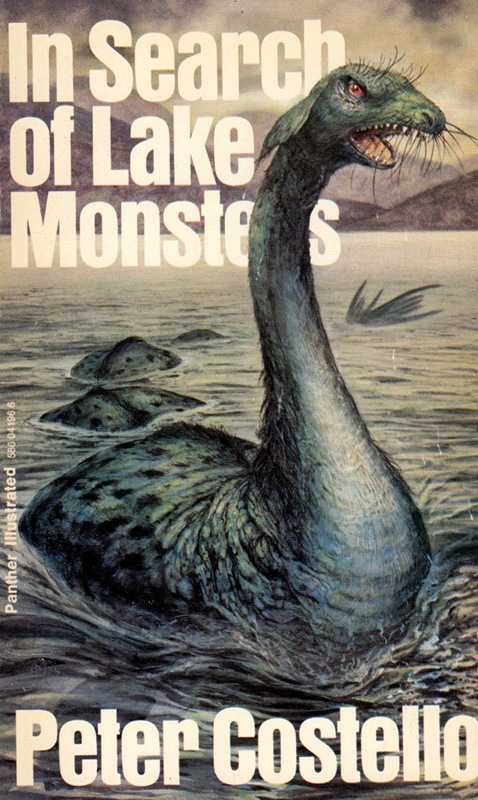 It features in the first paragraph of p. 123 in the Garnstone Press 1974 hardback edition of Peter Costello's book In Search of Lake Monsters. According to Costello: "It was as big as a goat or a wedder, and just stared at him with neither fear nor ferocity. 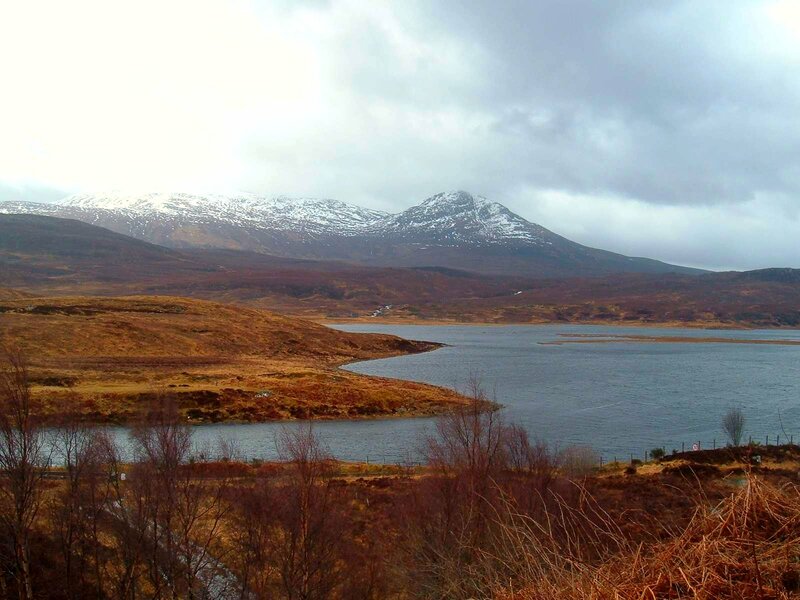 (This story came from the diver's grand-nephew, Donald Frazer, lock-keeper at Fort Augustus.)" And the original published report of MacDonald's encounter with this mysterious underwater creature whilst diving appeared in the Northern Chronicle newspaper on 31 January 1934. Hope this helps. Probably A lone, giant long lived marine turtle which somehow ended up trapped in the Loch because of flooding ? and whose neck undulates like a snake in addition to a very wide back acccording to some report, known as Aspidochelone by the ancient Greeks. 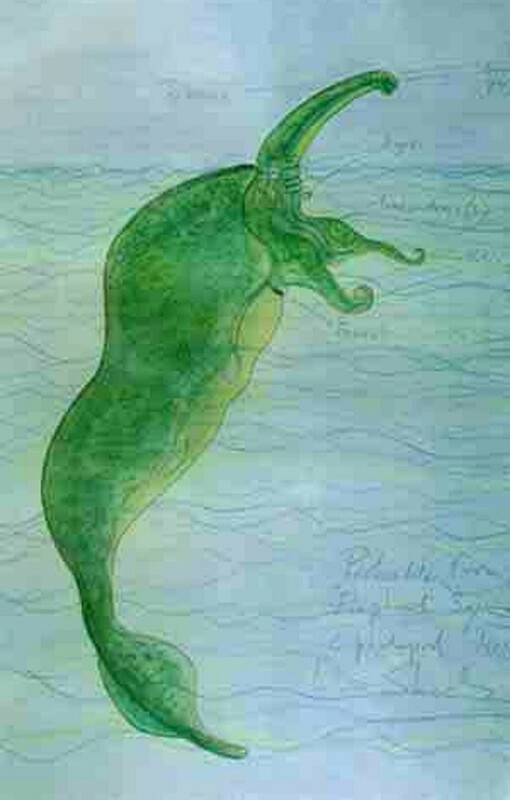 I suppose it's the same creature than Morgawr or the creature seen by captain Cringle on board ss umfuli. A turtle which has developped toward a plesiosaurian shape due to convergent evolution. 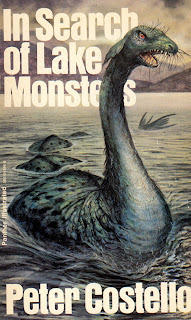 Haven't all sightings of the loch ness monster been shown to be either hoaxes or misidentification of known animals or mundane objects and phenomena? Not at all. Some have been soundly disproved, but many other claimed refutations are merely theories, not confirmed fact. I don't see any reason why the common misidentification candidates ( logs, rotting vegetation, otters , ,beavers, moose, freak waves, optical illusions, and mirages) would be unable to explain the sightings which have not been demonstrated to be deliberate deceptions. Beavers and moose are not native to Scotland, so they wouldn't apply. 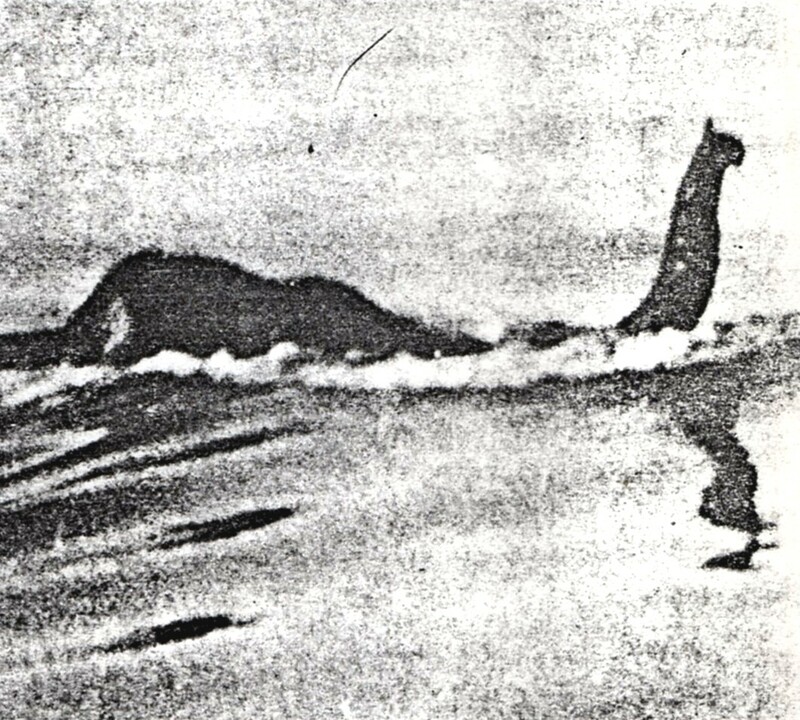 Some sightings involve clearly animate entities that are not merely passively floating logs or rotting vegetation, and mirages, optical illusions, and freak waves do not emerge onto land, whereas there is a sizeable list of land sightings of Nessie that do not match known species such as otters. Personally, I have no idea what Nessie is or whether there even is such a species, but I consider that within the bulk of eyewitness accounts are some that suggest a living species of unusual form that cannot be satisfactorily explained by the mainstream identities proposed by Nessie critics and sceptics. Any further on the original source for the diver story at Loch Ness? You mention it happened at "Johnnies Point" which is a few miles up Loch Ness whereas Witchell places it at the entrance to the Caledonian Canal. Hi guys, I've found my source for the diver story - it was in a reader's letter published on 9th December 1933 issue of the Dundee Courier and Advertiser. 9 December is my birthday, so that should have stuck in my memory, lol. It doesn't provide all of the details, so I still need to rediscover whatever additional source I originally consulted, but at least it's a beginning. Why is it hard to believe that Nessie is real? After all, it resembles a water dinosaur and we know dinosaurs existed. 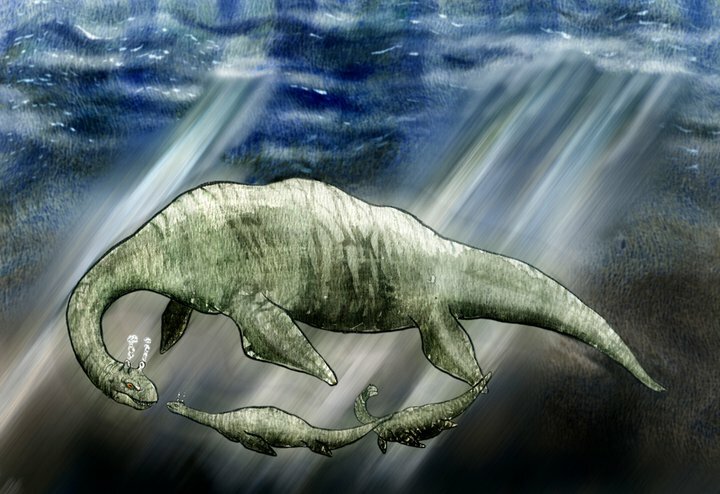 Even the Bible in the Book Of Job mentions a water dinosaur called levithian. And that justs blows all theories apart that dinosaurs existed before man. 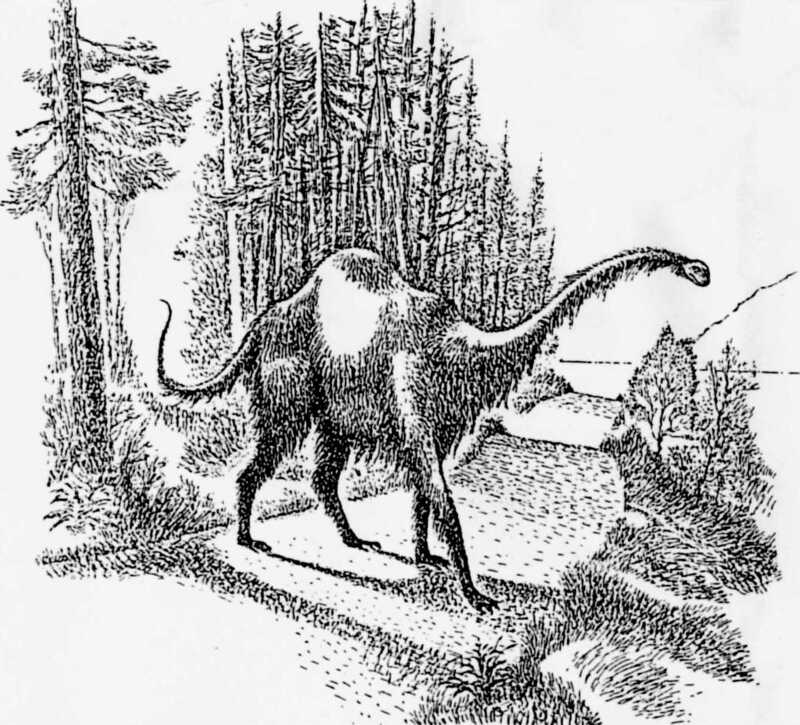 Seems man and dinosaur existed together and may still to this day hence the Lochness monster. Anything is possible with God!